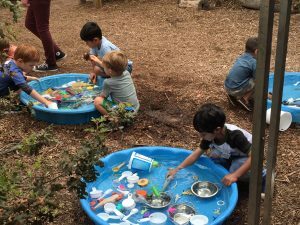 Home / Nature Camp / A Ssssuper Day at Little Naturalist Camp! 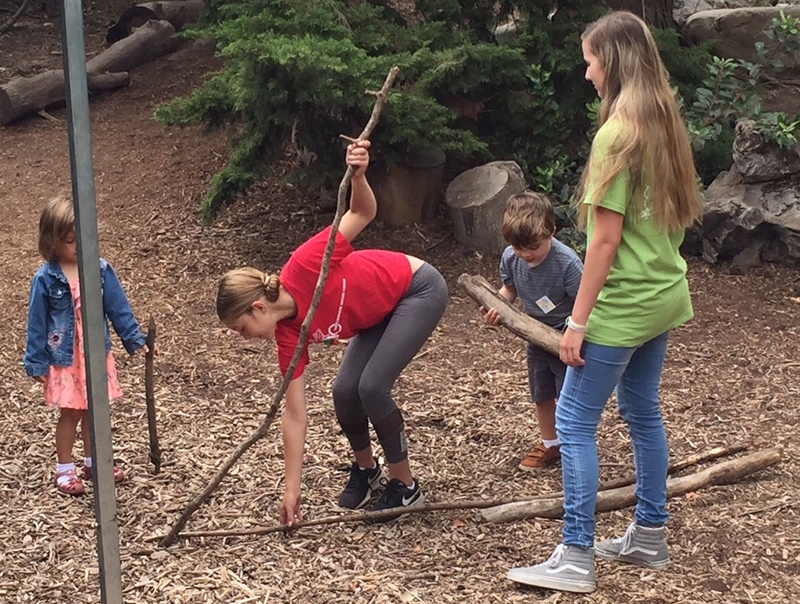 Today is the second day of the Little Naturalist Camp Session 2, and this week’s theme being “Nature Creativity,” the program is filled with an array of creative ways to interact with nature, from building structures out of sticks and branches to meeting the Center’s snakes! Each group gets to rotate to all the activity stations each day, including watercolor painting and fort building, meeting the animals (a different one every day! ), and a hike all the way to the end of the trails. 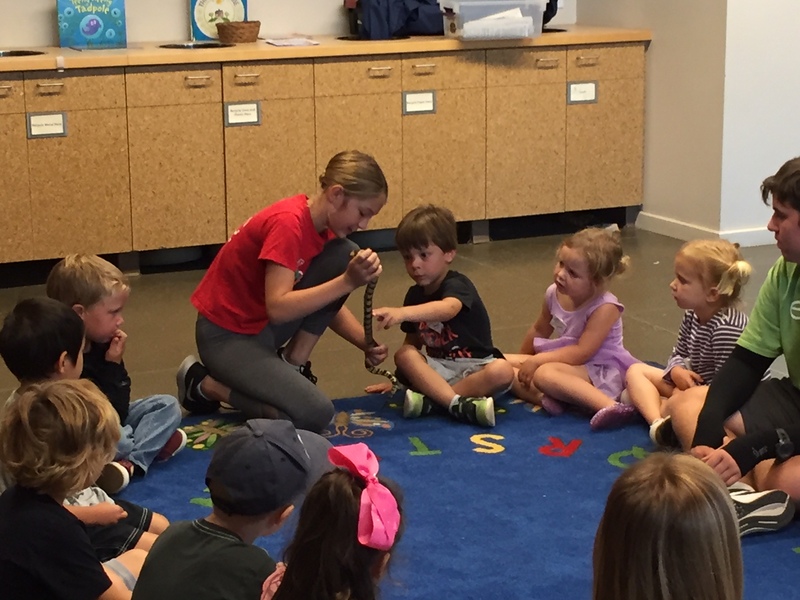 Specialist Gabi, the resident snake expert here at the ENC, has been specially trained to handle all sorts of snakes and introduce them to the kids. Gabi showed the Little Naturalists three of the Center’s slithery pals, a Gopher Snake, a Rosy Boa, and a King Snake. The Rosy Boa is called Fiesta because of the pattern on her belly that resembles confetti, and the King Snake is named Diamond because of her unique scale pattern! The students got to pet the snakes, using two fingers, and learned all about the habits and anatomy of the snakes. Campers were mesmerized by these fascinating creatures! Naturalist Indigo, with her group at the arts and crafts station, had a multitude of engaging artistic activities for her kids, including watercolor painting, fort building with sticks and branches, and fishing for toys. Then, after snack time, the group went on a hike through the trails of the Center, all the way to the very back of the property, learning about the flora and fauna of the ENC along the way. The campers also explored the wonders of the Butterfly House, where they get to interact with different species of butterflies and native California plants! Nature Adventure Camps will continue throughout the Summer with different themes each week. To learn more about all of our camps and activities, visit encenter.org.